It’s official. With just under $21 million in live earnings since this April Dan Colman is on the biggest run in live tournament poker history. At his sixth final table of 2014 the 23-year-old poker pro from Holden, Massachusetts notched his fourth seven-figure score of the year and his third title. 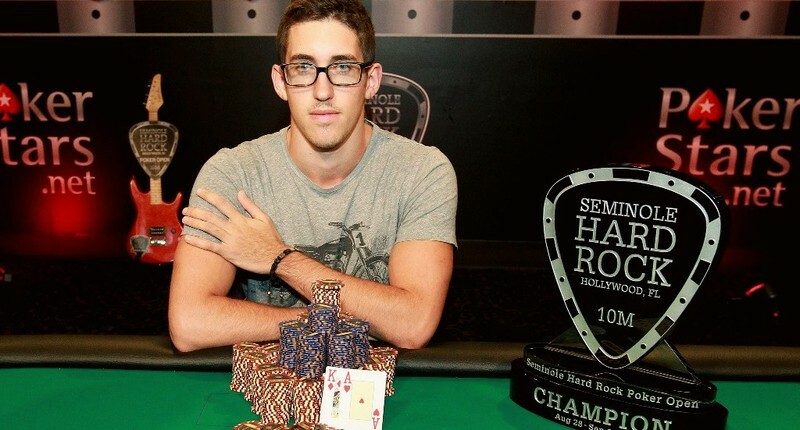 Most of his previous scores this year have come in tough but small field super high roller events including the $1 million buy-in Big One For One Drop, but this time around Colman topped a field of 1,499 players in the 2014 Seminole Hard Rock Poker Open $10,000,000 guaranteed $5,300 buy-in main event. For the win he earned $1,446,710 and 1,920 Card Player Player of the Year points, catapulting him into the outright lead in the POY standings with 4,770 points and $20,980,768 in year-to-date earnings. With this win Colman surpassed Phil Ivey on the all time live tournament earnings list, moving into third position behind Daniel Negreanu and Antonio Esfandiari. Colman may have beaten a larger field in this event than in his previous wins in super high roller events, but that does not mean that the quality of final table opponents was any lower. 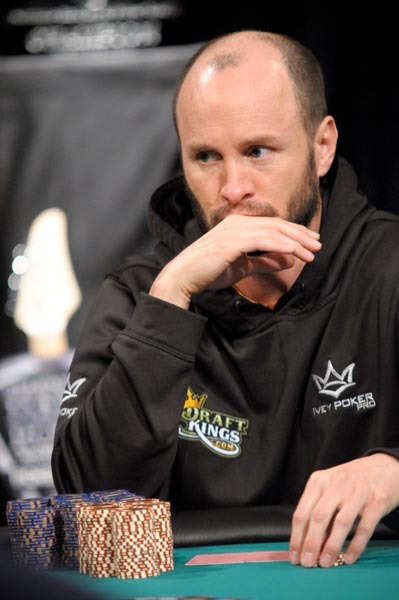 In fact he had to outlast the likes of Joe Kuether (5th – $424,044), 2010 November Niner John Dolan (4th – $548,763), WPT champ Shawn Cunix (3rd – $748,313) and eventual runner-up Mike Leah (2nd – $1,047,638). Colman entered the heads-up battle with only a 5-to-4 chip advantage over Leah, but with some strong hands and plenty of experience in the format (Colman’s background in the game is as a high-stakes heads-up sit-n-go specialist) he quickly increased that lead until he held a 3.5-to-1 advantage by the time the final hand arose. Leah raised to 600,000 from the button with the Q J and Colman three-bet to 1,500,000 with the A K . After some thought Leah moved all-in for 11.6 million and Colman snap called. The board ran out 4 3 2 10 K and Colman’s hand held up to secure him the pot and the title. Leah earned his first seven-figure score and 1,600 POY points for his runner-up showing. This was his sixth POY-qualified final table finish of the year, and with three titles already won the Canadian pro moved into third place in the overall Player of the Year rankings as a result of this latest score. His point total for the year is 4,174 with $1,512,026 in earnings so far in 2014. Photos courtesy of Seminole Hard Rock Poker Open. He is on a heater and is a great player but I find it really hard to root for him. Hard to find the right word to describe him, somewhere between egotistical, ungrateful and immature. None of those really fit but they are around the target. Just can not put my finger on it. He has been blessed with talent and good fortunes. Drones, flame away! "OK, sir, now turn and face the left!" But He doesn't like poker. yea hes clearly a talented player, but obviously running like god..hell slow down. he has too his oppents flippin with him and taken the worst of it as 60-40 dogs evens out... hows ben lamb been doing? he was the prodigy 2 years ago, im sure he still makes dough, but hes not superman,and neither is this kid colman, and neither is ivey..(see article citing hes down 6 million under new screen name. I like him. He knows Gambling creates more bankruptcies and losers than winners and that when you win you gotta win many coin flips and then there is the old adage that you have to win a few hands when put in bad and win. Why people who say Poker isn't gambling baffles me. Its about 10% skill which would beat any other gambling game in the long run. But just an educated form of gambling. He will win a few more, then some new young gun will come in who the poker gods decide to make insanely lucky again. I don't understand this comment at all, lol! Is that English and what exactly are you trying to infer, that poker is only 10% skill and any idiot could win? Get clue, then get a dictionary/thesaurus for Christ sake.